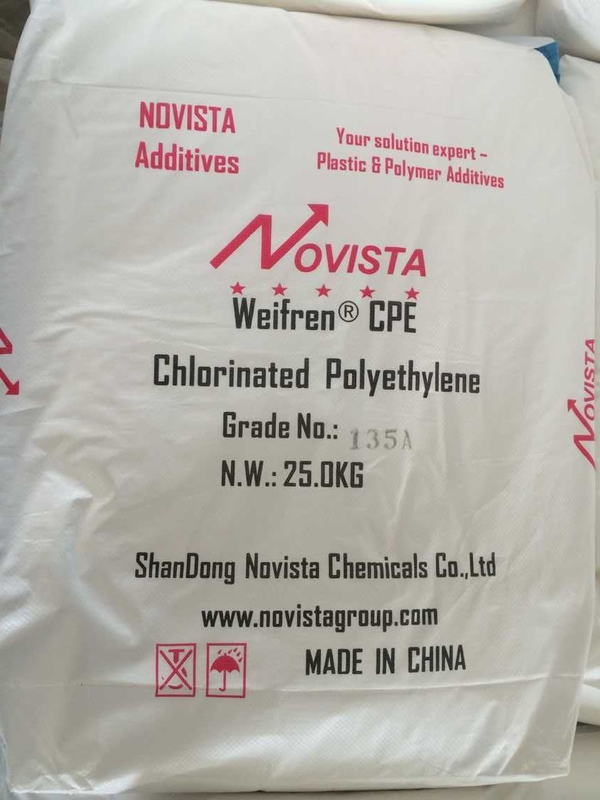 Chlorinated Polyethylene CPE (CPE Modifier For Plastic) is white powder chloridized from high-density polyethylene. This product is a kind of elastomer with excellent resistance to oil, ozone and good fire resistance property. 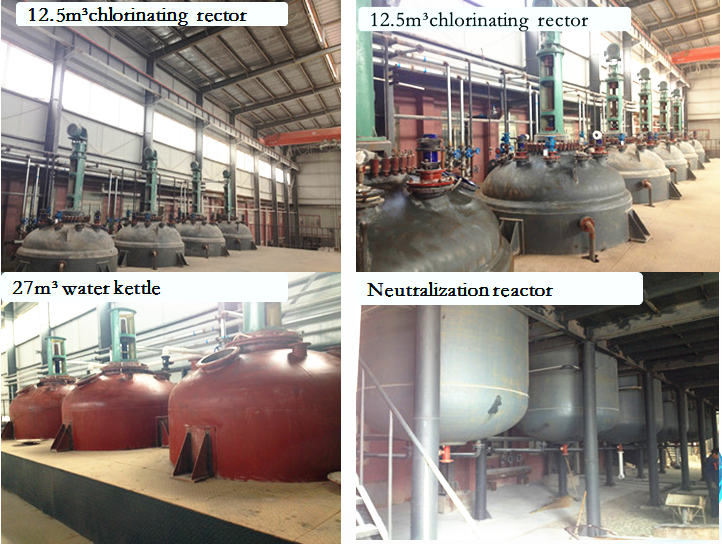 It has good mutual solubility with PVC, many kinds of plastic and rubber. 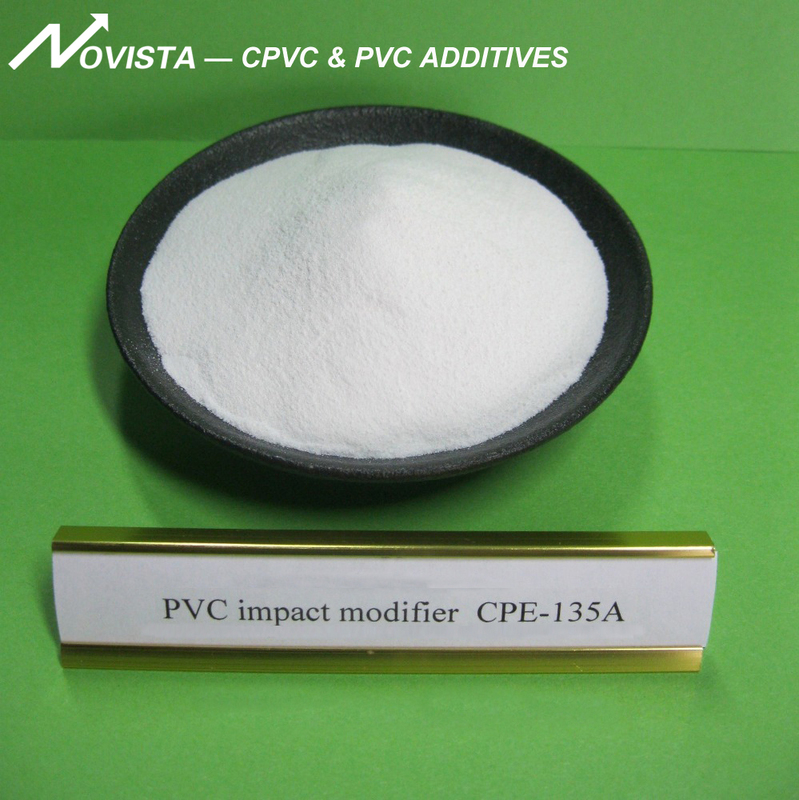 It is main Impact Modifier of PVC and toughening agent of ABS, CPVC, PP, PS plastic. 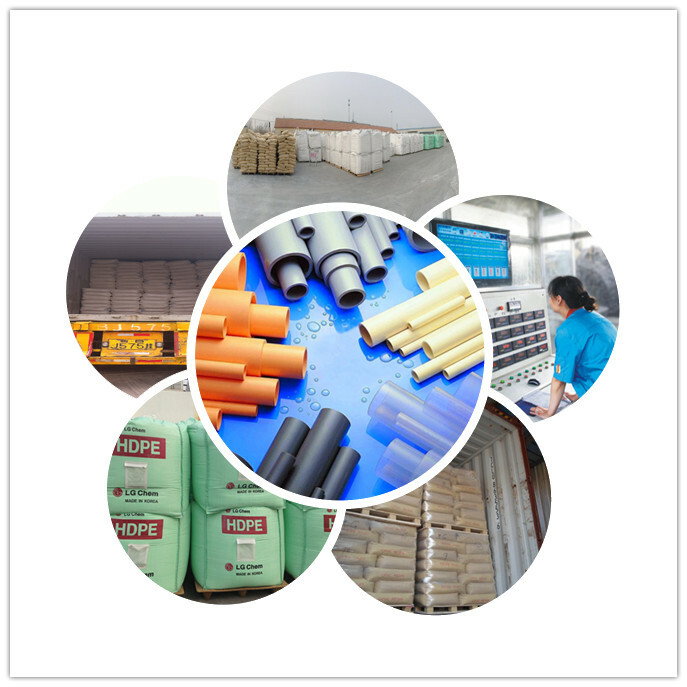 Used in impact modification of plastic profiled material, pipe, sheet material, sheet material, valve, CPVC pipe of hot water, and electrical pipe. 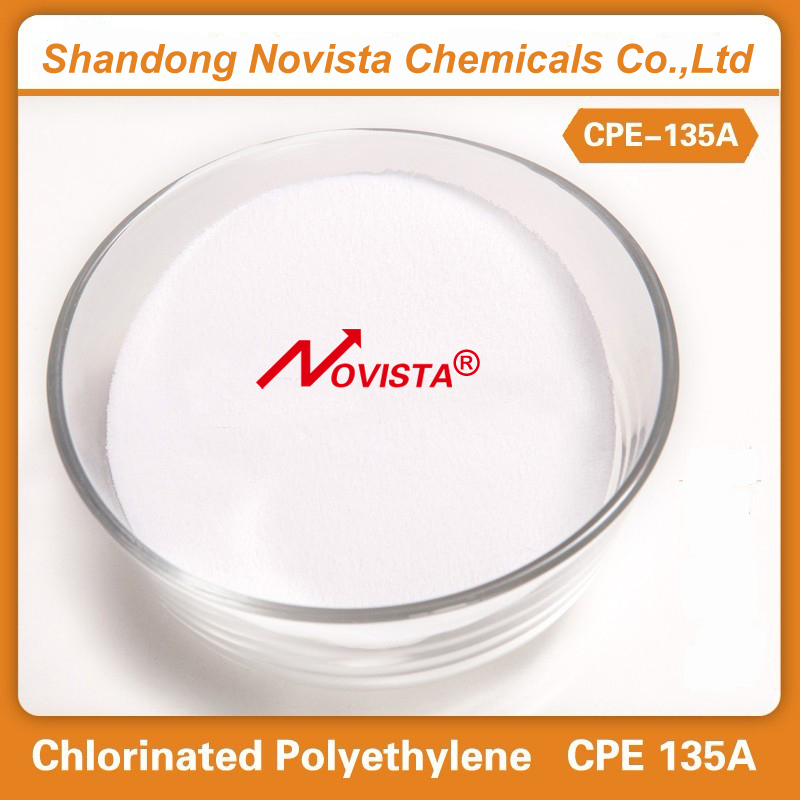 Looking for ideal Chlorinated Polyethylene for Foaming Products Manufacturer & supplier ? We have a wide selection at great prices to help you get creative. All the Chlorinated Polyethylene for Pipes are quality guaranteed. 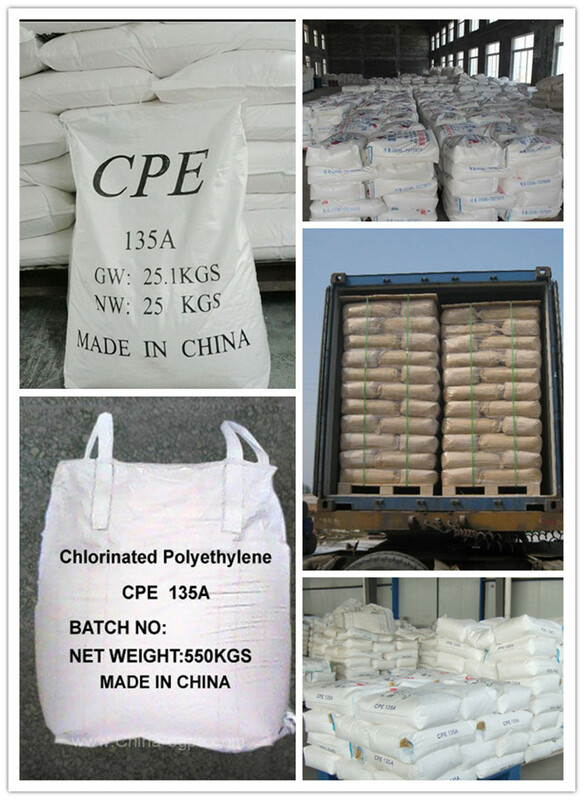 We are China Origin Factory of CPE 135A for Foaming Products. If you have any question, please feel free to contact us.